In 1929 the radio engineer Armand Givelet began a long collaboration with the organ builder Edouard Eloi Coupleux with the ambition to build on his experience with the ‘Clavier à Lampes‘ to create a popular electronic organ for use in churches, cinemas and concert halls. 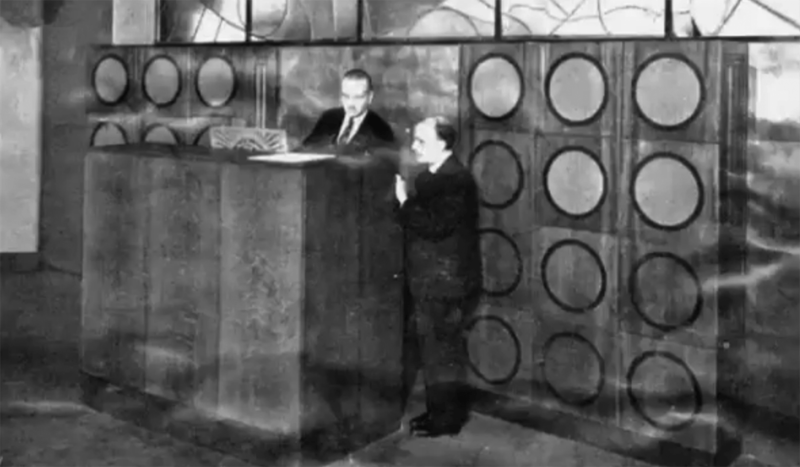 The resulting instrument, the ‘Orgue des Ondes’ or ‘Wave Organ’ was based on the same vacuum tube technology as the Theremin and Ondes-Martenot. Uniquely, the “Wave Organ” had an oscillator for each key therefore the instrument was polyphonic, a distinct advantage over its rivals – despite the amount of room needed to house the huge machine. The organ had over 700 vacuum oscillator tubes to give it a pitch range of 70 notes and ten different timbres – for each different timbre a different set of tubes was used. The Organ may have used as many as 1,000 tubes in total for oscillators and amplifiers. 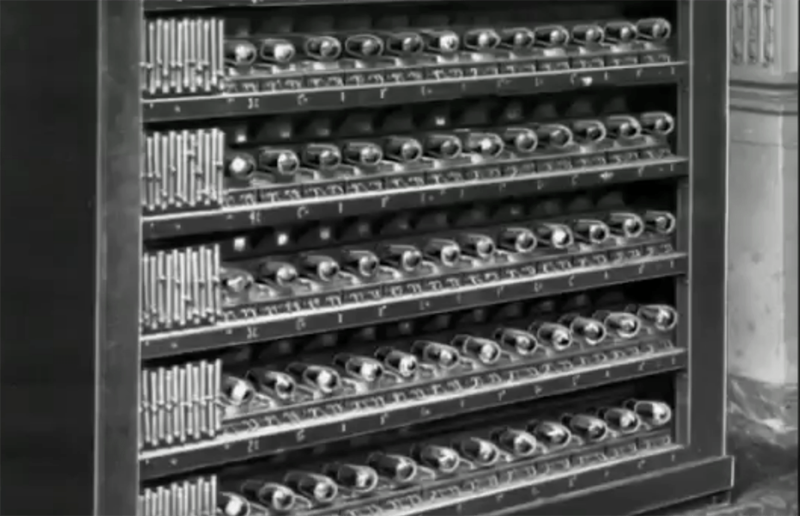 These tubes were housed in a separate rack ten feet long and six feet wide, out of sight of any audience. The sound of the organ was said to be particularly rich due to small variations in the tuning between each note creating a chorus like effect – in fact, the organ was capable of an early type of additive (addition of sine or simple waveforms) and subtractive (filtering complex waveforms) synthesis due to its number of oscillators and distortion of the sine waves produced by the LC oscillators. Marshal Pétain reviews the inauguration of the Orgue Des Ondes at the Poste Parisien radio station. Image; ‘Le Petit Parisien’ 27 October 1932. The organ which has been installed at the Post Parisien will be inaugurated in a few days, on 26 October. The organ, not a typical orchestral instrument used by numerous radio broadcasters, is the result of the latest perfections of technology. This organ, whose powerful voice will soon be broadcast on the waves, has little resemblance to the monumental organs of Notre Dame, Saint-Eustache and Saint-Etienne du Mont. One searches in vain for the forest of pipes which previously would show the instrument’s personality. Instead, two mahogany chests flank the organ, which, pierced with loudspeakers resembling portholes, replace the hundreds of slender colonnades of pipes, evoking the appearance of a harmonium. This revolution however is not just decorative. The ‘Orgue Des Ondes’, which has just been installed in the large auditorium of the Post Parisien on the Champs Elysees, can be considered one of the most remarkable contributions of current science. Eloy Coupleux, its inventor and manufacturer (with Armand Givelet) gave me a description of the instrument which, today can rival the the most venerable consecrated instruments. To establish his instrument, Mr. Coupleux started from the principle that every note was to be a transmitter, creating an oscillation at the same frequency of each note. Each of these positions corresponds to a key keyboards or pedal which when pressed trigger an oscillating circuit corresponding to an oscillating frequency of the note and the sound – thus creating all the vibrations of the musical scale. As for sounds, which in the classical organ, are dependent on the shape, length and mouth of the pipes, they are here created by and electrical circuit. The instrument, which has many advantages (over a classical organ. ed ), has three keyboards, pedals and seventy-six stops. The organ is insensible to temperature changes – unlike a classical organ – and is perfectly flexible, offering the possibility of indefinite virtuoso repetitions of high-speed lines. Similarly, the sound can, thanks to the amplified speakers, reach everywhere at the same time – and with radio transmissions of the movement of the keys, at a speed of 300,000 kilometers per second, an organist could play the organ of the Poste Parisien perfectly to the borders of Japan. Rejuvenated by the miracle of the waves, the instrument will generate new interest in organs due to the vast increase in it’s abilities. The organ was controlled in the usual way with two manual keyboards, drawbars or stops and foot pedal controls for volume and expression. The instrument was said to accurately reproduce the sound of a large pip organ as well as flutes, brass, and woodwind. The amplified sound from the organ was fed into a large array of thirty loudspeakers spaced around the performance room. Both instruments seem to have been removed and replaced sometime after with more modern organs. 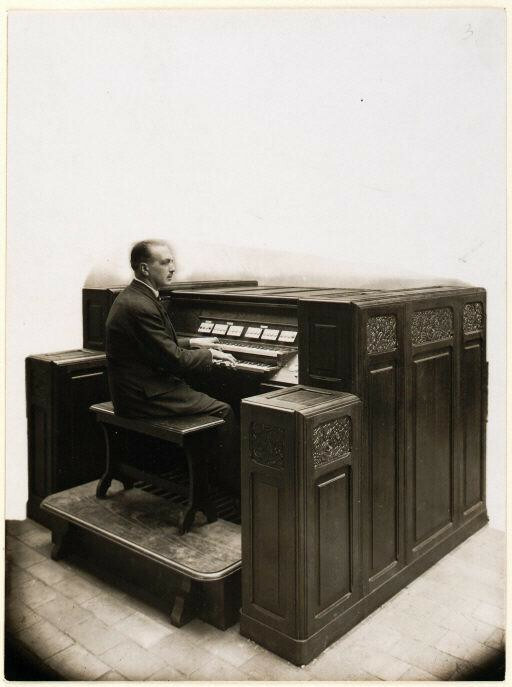 Despite it’s initial warm reception, the “Wave Organ” eventually succumbed to the practicality and portability of the American built Hammond Organ – designed for the Jazz age and home user rather than the limited religious market –which bankrupted the Givelet-Coupleux partnership in 1935. 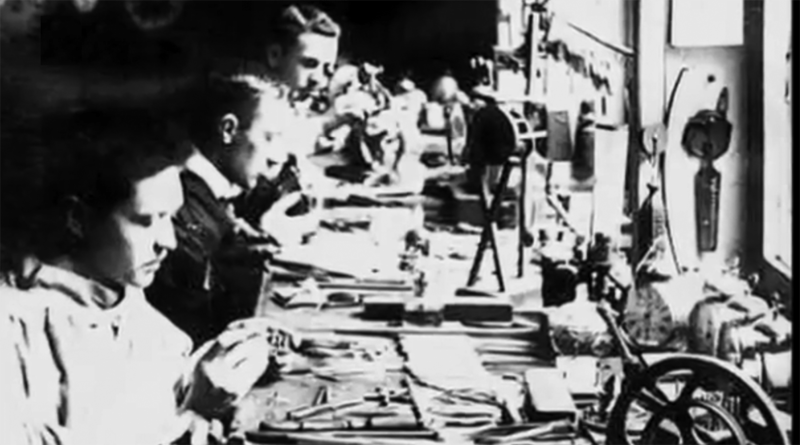 The Coupleux piano manufacturing business was founded in 1865 originally as a modest watchmaking workshop based in Rue Carnot, Tourcoing, Lille, France by Pierre Coupleux . 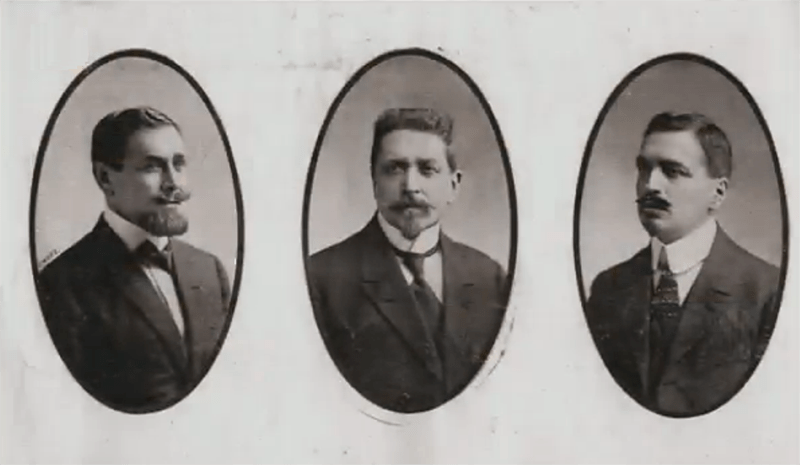 On Pierre’s death in 1904 the Coupleux sons – Eloi, Paul and Leon took over the business and, extending their knowledge of watchmaking, they began to manufacture music boxes, phonographs, devices for optical illusions, fairground equipment and early cinema equipment. The Coupleux’s soon began selling Pianos and other stringed instruments fired by the new middle class demand for the instrument. 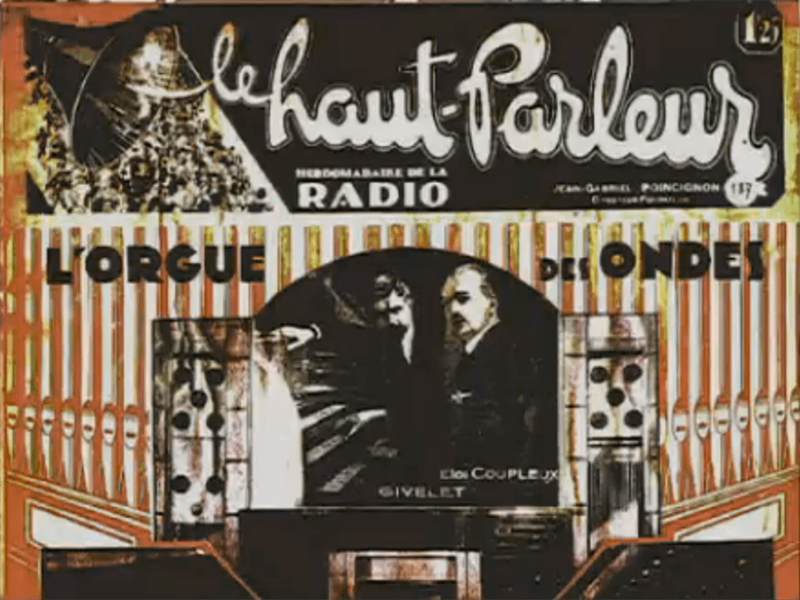 The Coupleux fuelled this fire by giving promotional concerts around France and Europe, recording their own records and eventually launching their own radio station ‘Radio Flanders’ in 1923 – five years before the existence of French national state radio. 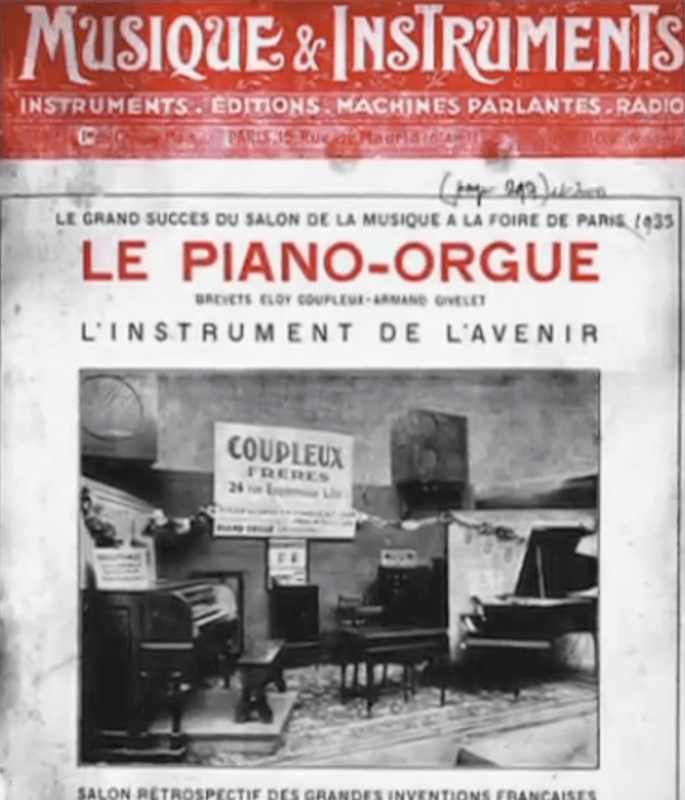 In 1908, having secured the French monopoly of imported American Pianolas, Paul Coupleux, by then an established piano dealer and tuner, opened a second shop in one of Lille’s most affluent shopping street 24 bis, rue Esquermoise, Lille selling their own manufactured pianos. During the First World War Lille was occupied by the Germans and much of the Coupleux brothers shop and warehouse was destroyed. 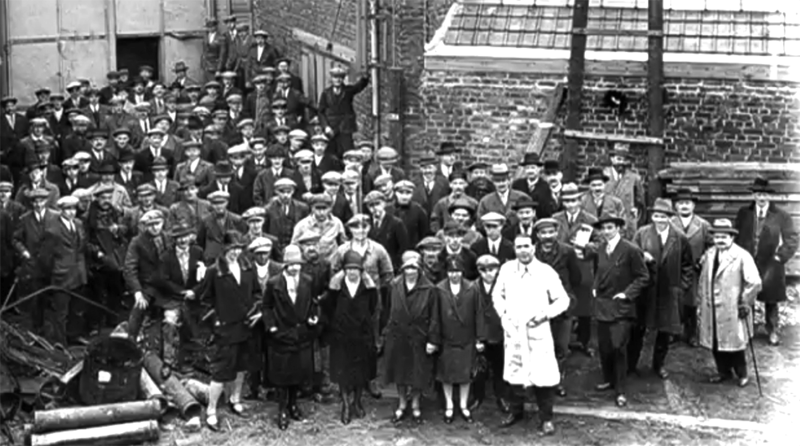 However in 1919 they realised that there was a new demand for church organs; most of the churches of Northern France and Belgium had been destroyed or damaged and soon their order books were full due to the demand for Coupleux pipe Organs. 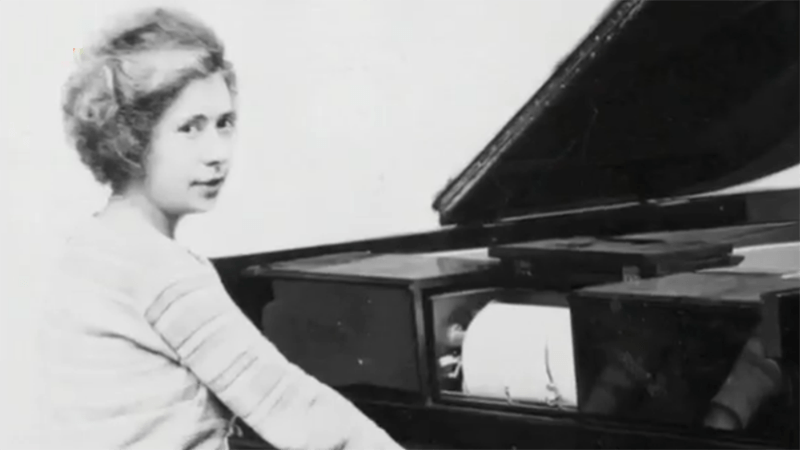 By 1923 the business was thriving with 150 staff and a production of 150 pianos per month. 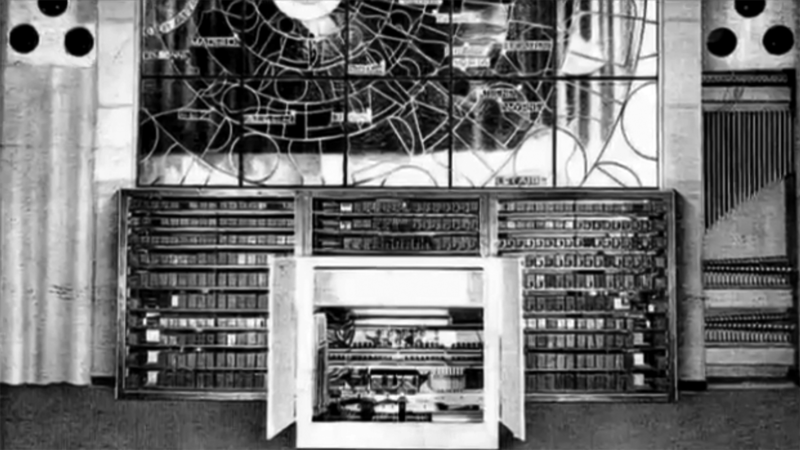 The Coupleux company continued to thrive until 1935 when the simultaneous and combined forces of the commercial failure of their electronic musical instrument and the economic crisis of the 1930s closed the business. 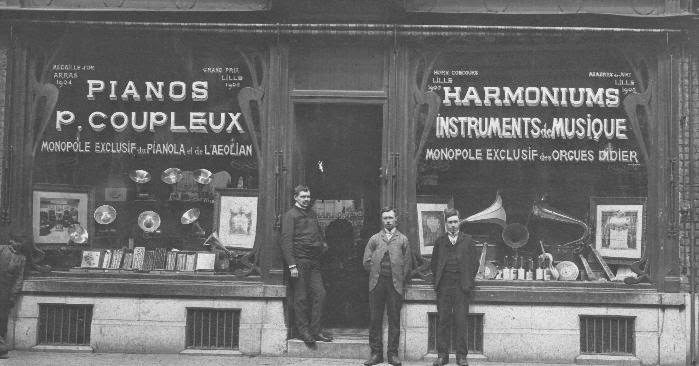 The rue Esquermoise shop continued as a music store until 1997 long after the closure of the instrument manufacturing business. Eloi Coupleux was a self taught engineer, he had left school at fifteen and began working in his father’s watchmaking shop where he soon discovered his mechanical talent. His inventions included a dual disk phonograph for stereo audio, the’ Télépiano’ (1922) – a device for transmitting piano vibration magnetically down a telephone wire and numerous audio reproduction machines. And it was this obsession with new technology that lead him to meet the physicist and engineer Armand Givelet in 1927. This meeting was the beginning of a long collaboration between the duo designing new electronic musical instruments. Their first device was a larger, polyphonic version of Givelet’s ‘Clavier à lampes‘ designed for use as a large church organ. The resulting instrument the ‘Orgue Des Ondes’ was premiered at the 1929 exhibition in Paris and was one of the first electronic organs. Despite international publicity only four of the huge instruments were sold – all to churches in Northern France. In 1930 Coupleux and Givelet designed and built another electronic organ christened the ‘Givelet’, this time controlled by a punch-paper pianola style cardboard roll but still using the multiple radio-valve sound generators. Olivier Carpentier Olivier Carpentier L’Aventure industrielle des frères Coupleux, 1900-1935 Préface de Douglas Heffer, éditions de l’Inoui, 2004. The Sydney Morning Herald (NSW – 1842 – 1954), Wednesday 15 August 1934, page 6. Psychology Press, 2006 – p679. Olivier Carpentier a publié une étude sur Coupleux/Givelet, préfacée par Robert Moog ! Merci pour votre commentaire. Est’que c’est le même livre de cette publication; ‘ L’Aventure industrielle des frères Coupleux, 1900-1935 Préface de Douglas Heffer, éditions de l’Inoui, 2004.’? Hi – as far as I know there were no recordings made of Givelet/Coupleaux’s instruments.